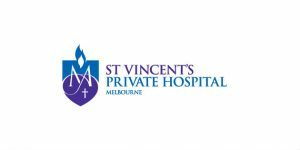 As a member of the Pastoral Services Team at St Vincent’s Private Hospital in Melbourne, there is not too much that Sr Patricia Walker has not encountered. “The whole range of human emotions is in evidence, and Pastoral Care Practitioners need to be prepared for everything,” she said, sitting in the Pastoral Care Offices in Fitzroy’s SVPH. After leaving school, Sr Pat completed a three year Teacher Training Course at Melbourne Teachers College. Following her graduation she was appointed to Merlynston State School where she taught for two years. She entered the Sisters of Charity Novitiate in 1961, was professed in 1963 and made her final Vows in 1968. Sr Pat recommenced her teaching ministry at St Canice’s School in Sydney’s Elizabeth Bay. Further appointments followed at Sacred Heart Cabramatta and Sacred Heart Diamond Creek Vic. Then, a year-long renewal at the National Pastoral Institute in Melbourne ensued : “Such an enriching and yet challenging experience ” said Sr Pat. After that, she returned to education with seven-year stints as Principal at St Vincent’s at Strathmore and Stella Maris Shellharbour. “I guess in all these places there were always elements of Pastoral Care, but these became more evident when I was employed for nine very happy years as a pastoral Associate in Good Shepherd Parish at Gladstone Park, in Melbourne. “Through my engagements with parishioners who were dealing with serious illnesses, often in resolute and courageous ways, the idea of possibly working in a hospital took root. 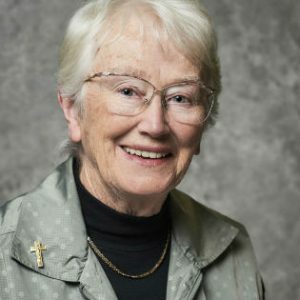 In the pastoral care offices, Sr Pat finds herself in the unusual position of talking about herself, and is not so comfortable with the prospect. With a certain grace though, she took herself into her ministries – most recently and across the years. She now ministers at the hospital four days a week and finds her role there incredibly rewarding. “It’s a great place to work, the culture in the hospital created over many years by great leaders is so very positive. My particular work happens on a cardiology ward and the ICU ward. Every day I encounter an extraordinary variety of people. I never imagined that patients could have such resilience, often in very trying and difficult circumstances. And then there are other challenges… “When problems just come flying at you! In those cases, I can rely on other members of the pastoral care team, which is so supportive. Note: Sr Patricia is the only Sister of Charity still working at St Vincent’s Private. The Sisters of Charity established the public hospital in Fitzroy in 1893. The public hospital, which served the poor and needy of the inner city around Fitzroy, where it is still located, was originally seen as a younger sibling of Sydney’s St Vincent’s Hospital (itself named after the hospital which Mary Aikenhead found in Dublin in 1834 on St. Stephen’s Green). All were intended as charitable institutions which would help bolster minimal health care.